In 1826, a Manxman named Cosnahan residing in Liverpool acquired a new steamer called Victory, and decided to run her between Douglas and Liverpool for 2 months before offering shares in this enterprise. Interest in the venture, however, was hard to find. Nevertheless, the Manx pushed for their own dedicated service. A committee convened at a meeting at Dixon and Steele Sale Rooms at Douglas Harbour on December 17th, 1829. The committee were delighted to raise £4,500 almost immediately. On 30 June 1830, the brand new vessel, Mona's Isle, built at a cost of £7,250, sailed from Douglas to Liverpool on its maiden voyage. 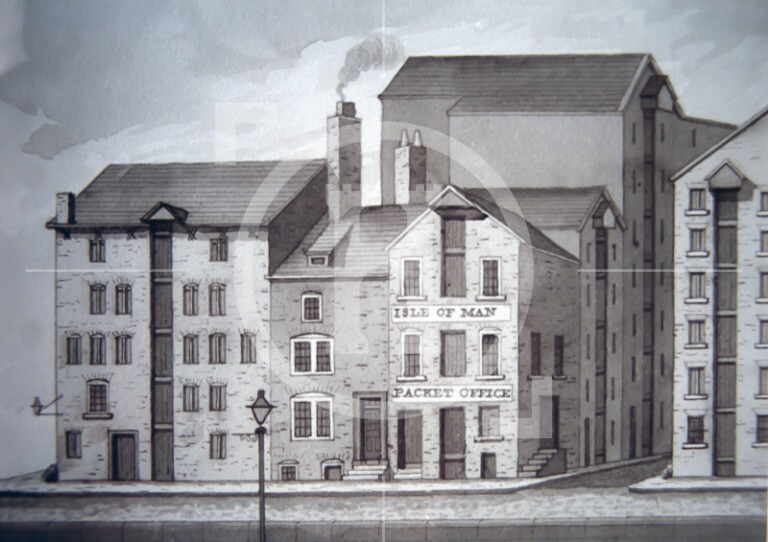 For the next couple of years the company was known as the Mona's Isle Company, then briefly as the Isle of Man United Steam Packet before assuming its present name in July 1832.